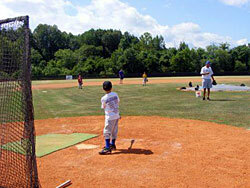 Unfortunately ChattState will not be offering any baseball camps this summer. Thanks! 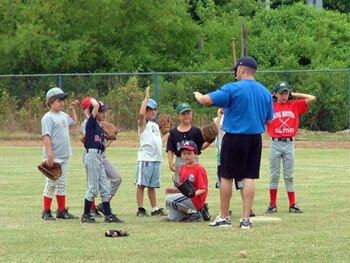 Baseball is a fundamentals game and what better way for your son to learn the proper fundamentals in a fun environment, than at the Chattanooga State Tigers Baseball Clinics. Head Coach Greg Dennis has brought his learning environment philosophy to the Tigers Clinics and it has been met with positive reviews. Coach Dennis believes in a fun and safe environment that is geared around getting players better at their individual positions. He has been heading up youth camps for the past 22 years and has extensive experience as both a counselor and a organizer of camps. He brings a "people-based" personality to the campers and utilizes a number of different motivators to help enhance each child's enjoyment level. The camps are held at Chattanooga State's baseball field located on the scenic campus of Chattanooga State. Tiger Field has gone through major renovations and campers will be able to make use of some of the finest facilities in this region. The baseball field is extremely nice with a plush Tiff-grass surface. We also have an Astro-Turfed area behind our 600-seat grandstand that will accommodate infielders, hitters and pitchers work. The Hitting Barn located behind right field may be utilized for hours of hitting work as well as some small defensive work and pitching. Overall, your child's level of enjoyment will be greatly enhanced by the state of the art facilities they will use. 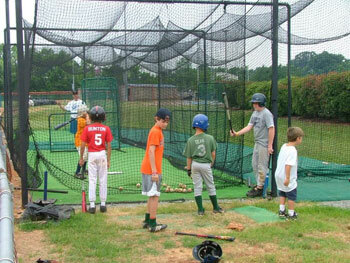 All monies generated from these camps go DIRECTLY into the facility and scholarship for the baseball program. Our goal is to not only educate the young players of Chattanooga, but to continue to build a program and facility that they can be proud of and enjoy!! Please note that these camps are geared around low numbers and high attention by the coaching staff. We feel that by providing this we allow for the BEST possible opportunity for the players to learn and develop the most. Only through attention and detail work can they truly achieve their goals.